I had the opportunity to meet people from Peugeot and Mitsubishi in Monaco a few days ago. 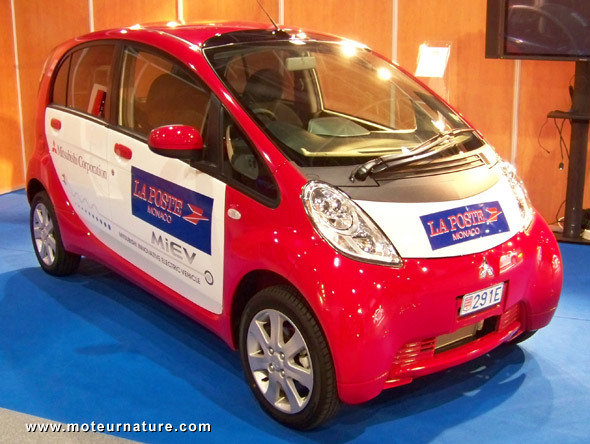 Both manufacturers are about to launch electric cars, pretty much the same car actually, since Peugeot has its car built by Mitsubishi in Japan (some “french” cars are not what they used to be), I inquired about how they would be sold. The question does matter as there’s a rumor that some companies might sell their electric models without batteries, leasing them separatly. In fact, Peugeot already did it. Ten years ago, the electric Peugeot 106 was sold that way. The price of the car was about the same as the gasoline version. But buying the car was only the beginning in the process of taking ownership of it. You had to pay the rent every month for the batteries. Drivers didn’t like it! Many customers turned back on the car because of that system. It was also a problem when owners wanted to sell their cars. The battery-leasing contract could be transferred to the new owner, but there was a huge problem with determining the value of the car. What’s the retail value of a used car that requires a payment every month to run? Agreements were found, and after a few years of ownership (with corresponding monthly payments), buyers have been able to buy (!) the batteries of their cars, terminating the leasing contract. That was not an easy process at first, and I was much relieved to learn that Peugeot will not repeat it. Mitsubishi won’t either. Both will sell or lease their electric cars, complete cars only, with the batteries included. I hope no manufacturer will ever have again the silly idea to sell an electric car without batteries. It’s like selling a gasoline car without a fuel tank, no manufacturer has ever done that, and none ever will.